the Informal Art: his action, which is irrational, interacts and dialogues with external stimuli all the time. 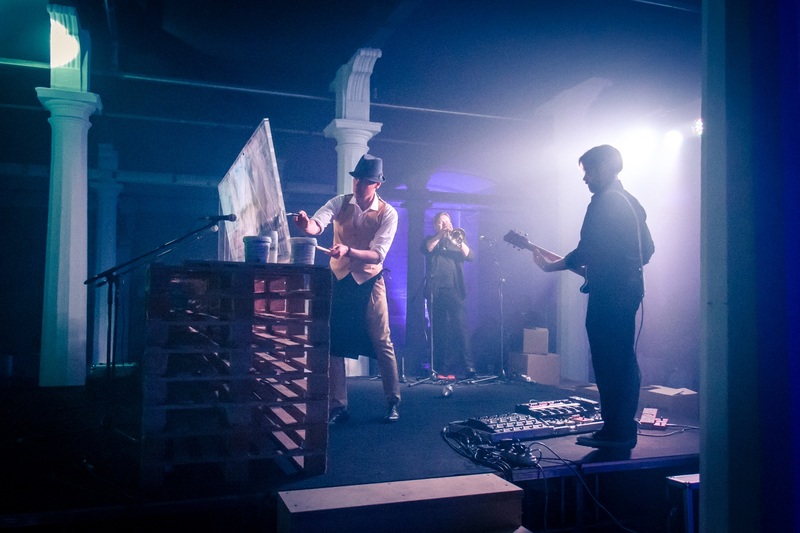 Rudari performs with a band, which pace is given by using modified instruments, created from the artist himself: brushes are longer than usual and made with an aluminium straw, also frames are made of aluminium. 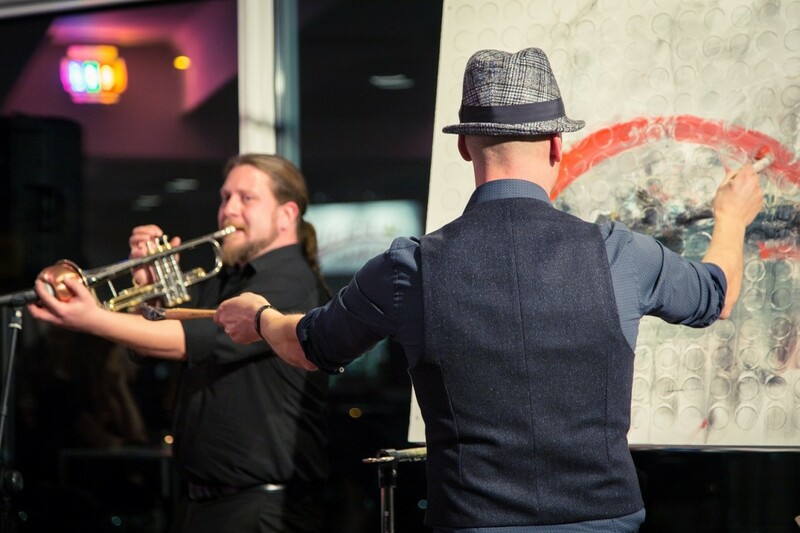 In this way, while he is painting, he performs a jam session. Music and Art have always been part of his life; he is son and nephew of artists, he took piano lessons for years, though he stated he wasn’t such a great scholar. He was happy enough to learn the grammar of sound, because he didn’t want to be a simple score executioner, because then he would have lost his instinctive element. First of all, Serafino is a narrator of musical scores taking shape through colour. This is the great advantage of painting over music according to Serafino’s opinion, “Music has a dodecaphonic system and could be transcribed, but doesn’t allow intermediate shades. Transition from music to colour was a natural process, because I felt the need to express myself with different nuances. Colour has a greater power of expression”. Together with his performative experience, he carries out a study project made of colourful fairy-tale worlds, where urban spaces are populated by characters coming from the animal world, who repossess their own spaces and live in them as recreation grounds. Through decontextualized natural elements, Rudari’s art explores fantasy world, going beyond children’s illustrations and drawings, which is incorporated within the paintings and overlapped watercolours by using the patchwork technique, so that he can do any changes and then let the painting stand on its own.